Mexican Naval officials have seized a cargo shipment containing 250 kilos of cocaine along the coast of Acapulco, in the southern state of Guerrero. Officials intercepted the go fast boat after a naval aircraft spotted it in waters 200 nautical miles south of Acapulco. 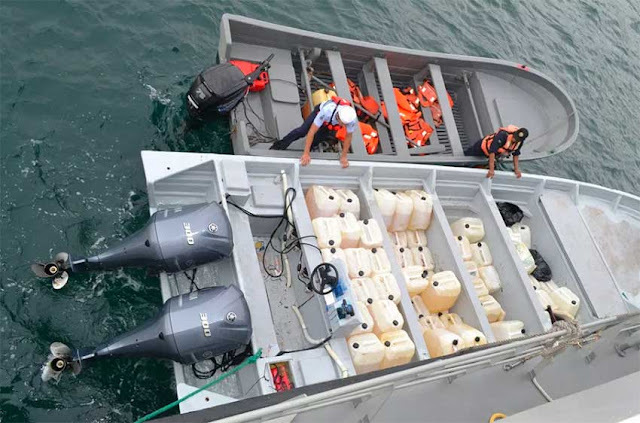 On board the boat, officials found 250 kilos of cocaine bundled in packages that were hidden inside 10 drums along with 3,000 liters of gas. 3 fuel depots in three states were found and destroyed.